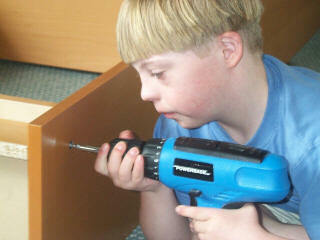 That the mentally disabled may receive the love and help they need for a dignified life. Family life is a mixed bag in “Boyhood.” An abler commentator could probably offer much deeper psychological, sociological, or spiritual insights; I will limit myself to a few thoughts, which can be divided (with utmost creativity) into these categories: Positive and Negative. Mason Evans, Jr. (Ellar Coltrane) and his sister, Samantha (Lorelei Linklater), have the benefit of growing up with loving parents. They have their responsible and nurturing mother, Olivia (Patricia Arquette), and their fun-loving and vibrantly affectionate dad, Mason, Sr. (Ethan Hawke). Indeed, the importance of family is underscored all throughout the film. In fact, at one point, Mason — now age 14 — sits in on one of Olivia’s lectures as a psychology instructor. She is lecturing on John Bowlby’s Attachment Theory, which highlights the vital role of emotional and physical closeness between parents and their children not only for the children’s well-being, but for the survival of the human race. No doubt, the somewhat strained but very real family bond with which Mason grows up contributes to his becoming the young man we eventually meet — kind, open to people, able and willing to learn from his mistakes, and focused on his future. The major “downfall” of Mason, Sr. and Olivia can be easily identified: They had children too young. And, evidently, they did so without discerning whether or not they were actually meant to be together. It is not clear whether they had ever gotten married (if I remember correctly); but in any case, they are no longer together, and Mason lives at a great enough distance that he can only see his children every so often. When Samantha is eight and Mason, Jr. is six or seven, Olivia decides she wants to improve her life and the lives of her children by going back to college. A laudable choice, but also the beginning of a process that requires the family relocate frequently. To make things more difficult, mom remarries at least twice — in both instances to men with a penchant for alcohol, and in one instance into a physically and psychologically abusive relationship. Like I said, we have a pretty mixed bag — and one that seems to reflect the general, overall state of the family in today’s society. Additionally, as kindhearted and as devoted as both parents are, they have no truly profound or comprehensive worldview to offer their children. This is not unusual nowadays, and by no means am I suggesting that it leads in every case to family breakdown and dysfunction; however, I am convinced that the condition of this particular family would not have come about without this particular deficit. …a series of incidents, with nothing to connect them all. “I guess I just thought there would be more,” she observes. Sound familiar? It would seem that the aforementioned confusion about life is inter-generational and, in a sense, hereditary. Having identified the existential angst of both generations, I will explore two particular aspects of it in depth in the next two posts. 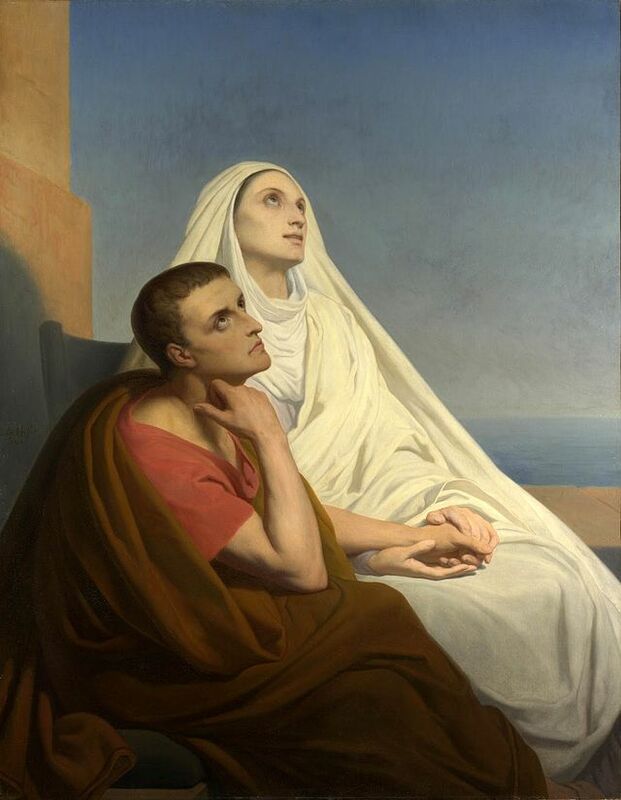 Today, we observe the Memorial of St. Monica. If you doubt in any way that suffering can produce sanctity, consider what you know about her. And if you don’t know anything about her, kindly lend me your ears (well, eyes technically). 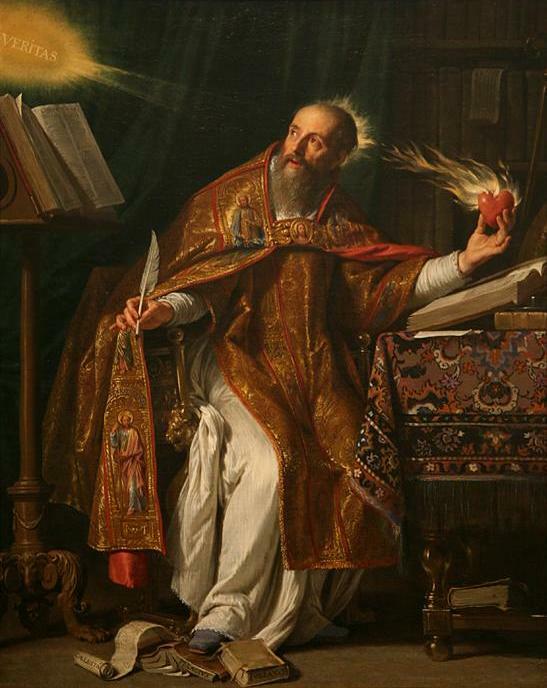 Some of you may already know that Monica was the mother of St. Augustine of Hippo, one of the Catholic Church’s holiest known saints and among the most influential figures of Church history. But looking at his early life, you wouldn’t know it. Let me say that again: You wouldn’t know it. Clearly, she did not have an easy go of things. But make no mistake — she never gave up her faith. She remained firm in her commitment to God and to her faith. She responded to her husband’s early abusiveness with kindness and humble obedience — not out of weakness, nor for the purpose of remaining a “doormat;” rather, she knew that this was the very best way she could bear loving witness to the Truth, to the humble Savior who is none other than Christ Himself. Eventually, she did succeed in converting her husband (who was a pagan when she married him). And he didn’t. And the rest, as they say, is history. Not with threats but with prayerful cries to heaven. So that they may learn to draw their children to God. Even the prodigal sons and daughters who have sadly gone astray. that God may favorably hear my plea. Richard Linklater’s latest film strikes me as a truly groundbreaking work of cinema. Never before have we seen a film that traces the life of its protagonist from age six through age 18, using the same actor for each age. 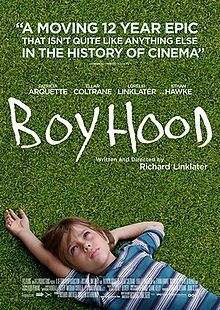 Yet this is precisely what “Boyhood” does. …which is not to say that this is a “doom-and-gloom” type of movie. It’s a good mix of happy and sad, thick and thin, light and dark. It showcases the happy moments of family life and childhood without being overly sentimental, and it depicts the harder aspects of growing up in this day and age without being fatalistic or depressing. Within that context, we see a growing sense of confusion, uncertainty, and lost-ness in Mason as he gets closer to college age. His passion for photography, demonstrated beautifully throughout the later part of the film, starts to wane as he searches — seemingly in vain — for deeper, more solid, more abiding meaning in his life. Normally, this would probably not make for a hit movie. Such a subject is more often confined to a limited-release indie film circulated among specialized audiences. 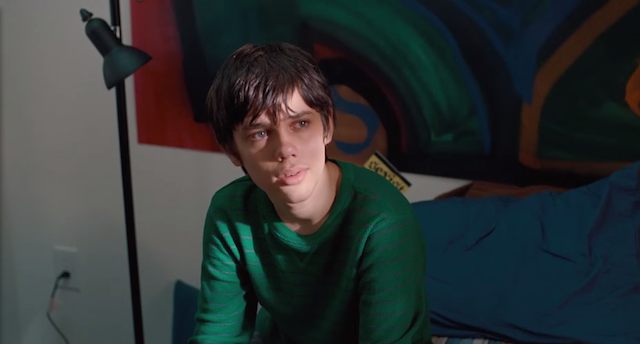 But what makes “Boyhood” different is its seamless integration of the formative periods of the protagonist’s life using the same actor — rather than, for example, Ellar Coltrane playing Mason at age six, Seamus Davey-Fitzpatrick at age 10, Asa Butterfield at age 14, and Josh Hutcherson at age 18. For this reason, we have a much clearer sense of Mason Evans, Jr. as a single person on a single journey. So we can both see and better appreciate the context from which his personality and concerns have emerged. I hate to end this post here…but I’m looking at the emerging structure of my reflections as a whole, and it appears I’ll have to. Stay tuned! With everything going on at home and abroad lately — from the turmoil in Iraq to the volatile situation in Ferguson, MO — I think this would be an appropriate time to share a quick summary of the Catholic Church’s just war doctrine. 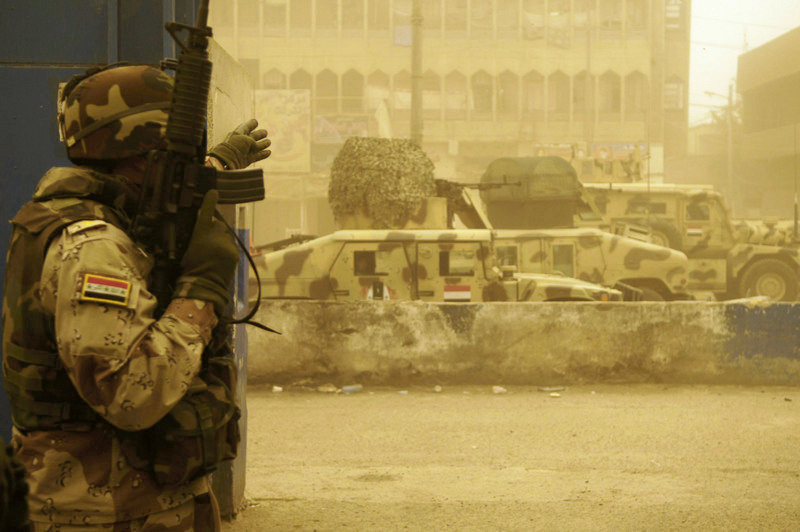 As Pope Francis recently said, it is perfectly legitimate to exercise force in defense against an unjust aggressor. But the key word is defense. Even such force must include respect for the inherent dignity of every human person. So what about on the larger scale? Can national and/or international force ever, in any circumstance, be used against another nation or group of nations? – the use of arms must not produce evils and disorders graver than the evil to be eliminated. (T)he power of modem means of destruction weighs very heavily in evaluating this condition. A great many wars include one or more of these criteria. However, in order to have a just war, all of them must be present at the same time. If, for example, all of the other conditions are present, but the consequences of a war or battle are greater than the good to be achieved, then it is not a just war. Obviously, the bar is pretty high here. And these are just the criteria for war in general, to say nothing of what waging a just war requires. 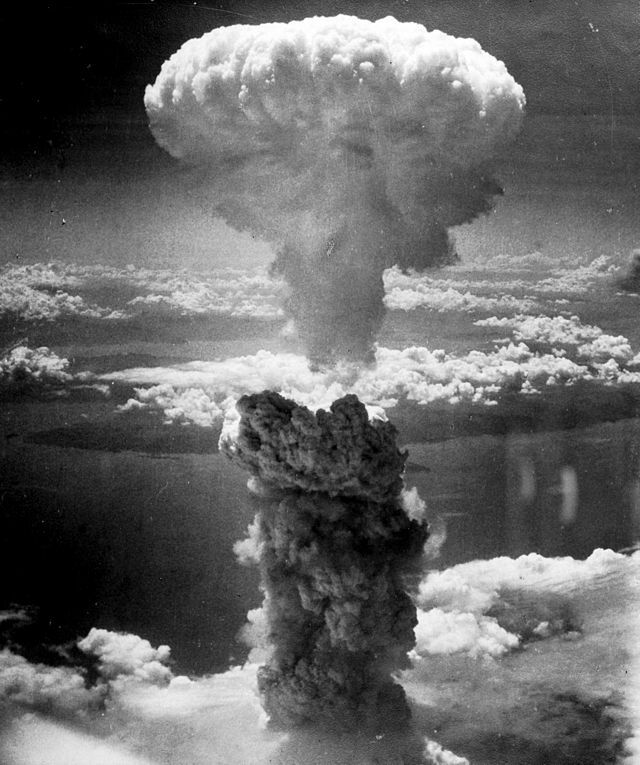 What happened at Hiroshima and Nagasaki in 1945 was a towering example of unjust warfare — in fact, the Catholic Church’s Magisterium came out against the use of the atomic bomb to end World War II (and unfortunately, most of the laity did not lend their support…not in the United States, anyway). Let me just cite one more rule for just warfare. Civilian targeting is never permitted — ever. Let us assume, for example, that a high-ranking official of a terrorist group whose death would topple the entire organization is hiding within a populated municipality, and the only way to get to him is by way of an action that will take the lives of the innocent civilians surrounding his hideout. Can’t do it. Respect for innocent human life always takes pride of place. We cannot tell it because it is a desire for something that has never actually appeared in our experience. We cannot hide it because our experience is constantly suggesting it … Wordsworth’s expedient was to identify it with certain moments in his own past. But … (i)f Wordsworth had gone back to those moments in the past, he would not have found the thing itself, but only the reminder of it; what he remembered would turn out to be itself a remembering. The books or the music in which we thought the beauty was located will betray us if we trust to them; it was not in them, it only came through them, and what came through them was longing. What the Heck is the ‘Assumption’? 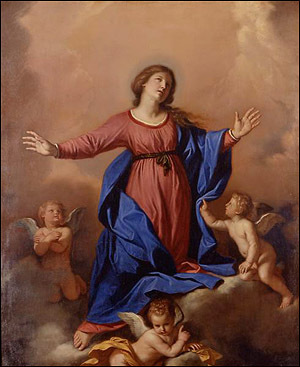 Today, those of us who are Catholics celebrated the Feast of the Assumption, honoring the Blessed Virgin Mary being taken up body and soul into heaven when her life on earth was done. I won’t lie to my readers — this is a hard post to write. In order to do justice to this wonderful, life-giving doctrine, I really should lay a foundation by covering other related issues (such as the authority of Sacred Tradition as well as Sacred Scripture, the doctrine of Mary’s Immaculate Conception, etc). Sadly, time does not permit. Perhaps I will write subsequent posts covering these issues in the future. But for now, please bear with me. First, a humble admission: The Assumption of Mary is not found explicitly in Scripture; but then, neither are a number of things that most Christians will take for granted as being true. 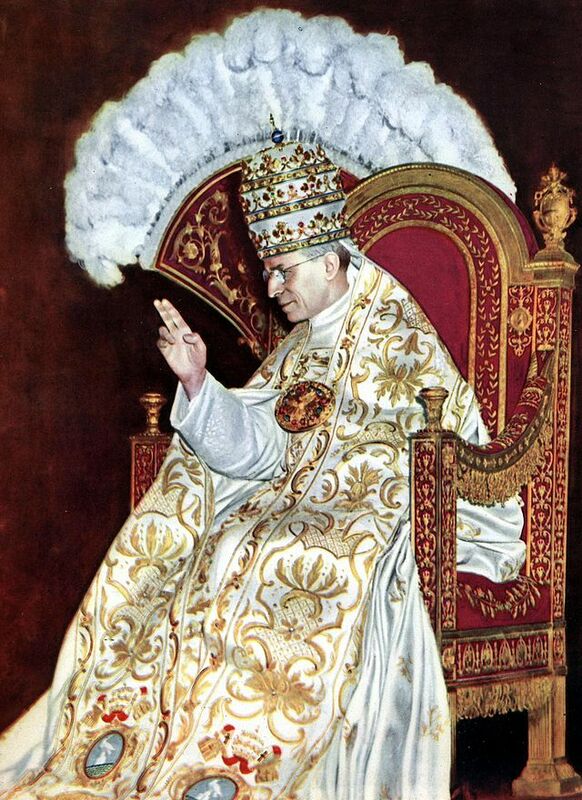 When Pope Pius XII officially declared the Assumption a dogma of the Church in 1950, he drew support from various passages of Scripture as well as millennia of theological reflection and of devotion on the part of both clergy and laity. For my part, I will limit my reflections to the dogma of Mary to which the Assumption is a necessary corollary: The Immaculate Conception. When we use the term “Immaculate Conception,” we mean that Mary was entirely preserved from original sin…as was fitting for the Mother of God and the Living Ark of the Covenant. By a singular grace, God preserved her from all sin throughout her life. Anyone who is familiar with the third chapter of Genesis should begin to see where I’m going with this. Death, which consists in the separation of the soul from the body, and postmortem bodily corruption occur in consequence of sin. Mary was without sin. Therefore, it was fitting that she should share in her Divine Son’s Resurrection in a unique and privileged way. Think about this for a second: Mary is now in heaven, dwelling in the Presence of God with the choirs of angels and the departed saints awaiting reunion with their bodies at the end of time; and yet she lives in this reality in her bodily being. If this doesn’t fly in the face of any Gnostic, dualistic, negative conception of the body and of physicality, I don’t know what does. Here we can see the Assumption reflecting something else about Mary. With her “yes” to God, she has actually changed the material world. In her holy womb, God and man have been reunited in the incarnate person of Jesus Christ. Mary has thus become the Mother of a new humanity and a new creation…in other words, she is the New Eve. (NOTE: Although Marian apparitions are not dogmatic, they can be instructive; many have seen promises of the re-sanctification of creation in such things as the miracles at Lourdes). I hope this has been interesting and informative; and for my Catholic readers, I hope it has helped to inspire greater love for our awesome Mother in heaven.